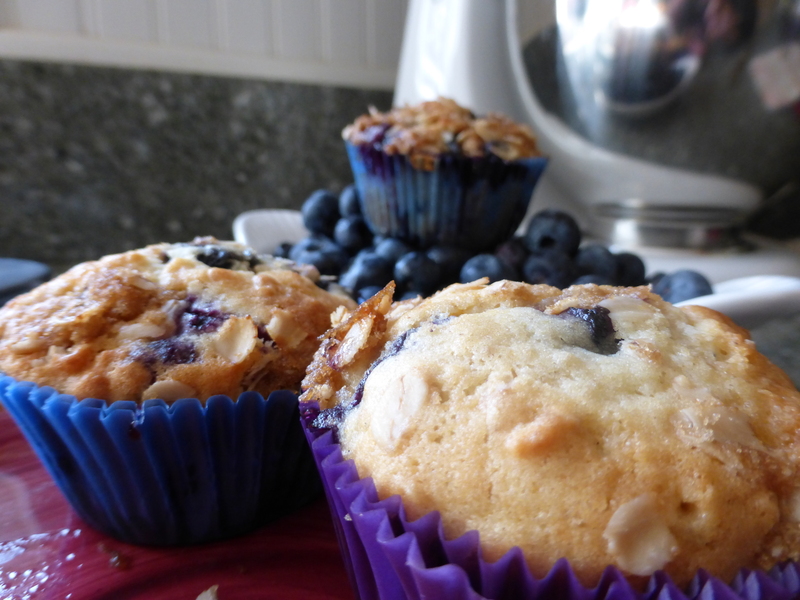 I love quick breads, and this is one of my favorites. I made it over the holidays and took it to work for a pot-luck we had on Christmas Eve. It went over as well there as it does with my family and friends. Maybe because of the pretty red color, but I do tend to make this mostly over the holiday season…something I just may change this year! In a bowl, stir together the flour, baking soda and salt. Set aside. In a large mixing bowl, beat together the sugar and butter until creamy. Add the eggs and vanilla and continue to beat until light and fluffly. Slowly add some of the flour mixture, then the buttermilk, alternating between the two until each is incorporated well. 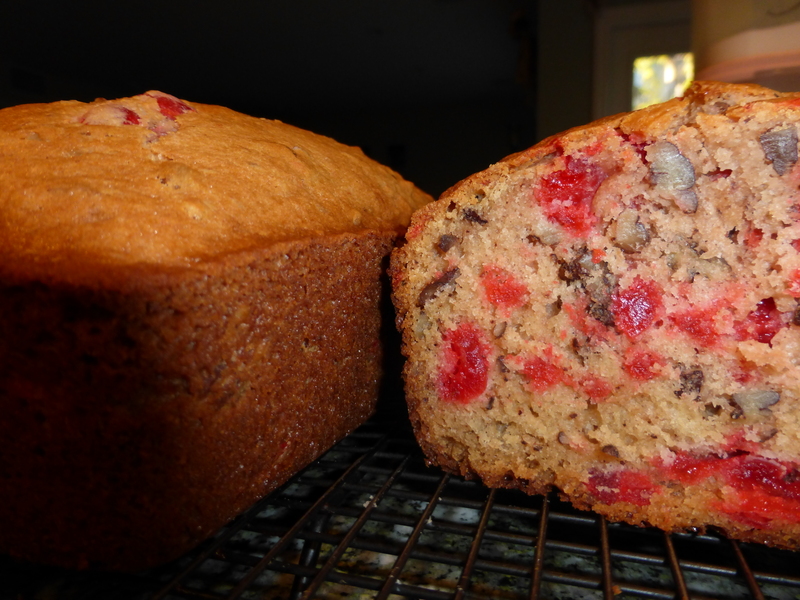 Fold the pecans and cherries into the batter and turn the batter into a buttered or sprayed 9inch bread loaf pan. Bake for 50-60 minutes, until a toothpick inserted in the center comes out clean. Allow to cool for 10 minutes before turning out onto a baking rack to cool completely. *No buttermilk on hand? Measure just under one cup of milk and add 1-2 tablespoons of white vinegar; mix until the milk looks “curdled.” It’s a perfect substitute for buttermilk! This is comfort food at it’s finest. Served warm out of the oven with a glass of milk, we like it for breakfast or a late night snack. It’s really important that the butter is room temperature so that it creams really well in the mixer. Another trick is that if you don’t have evaporated milk on hand use just a splash under a cup of milk and then fill it to the cup line with regular white vinegar. Cream butter, sugar and vanilla together in a mixer until well blended (almost whipped). In another bowl, combine flour, salt, and baking soda. Alternating, add flour mixture and milk to butter mixture, making sure all is combined well after each addition. Add oatmeal after last addition. Turn batter into a 9inch baking dish and bake for 20-25 minutes. If anything, you’d rather underbake this than overbake. Make a glaze of powdered sugar and milk and pour over warm bar before serving.